In this expeditious and highly collaborative project, I joined the team as a UX Designer. I contributed equally in user research and analysis. During the design phase I sketched multiple ideas (some of which got translated to the final design), co-created quick prototypes, and built a part of the final design. In today’s world, with growing urbanization small communities in remote places have become exotic examples of a rural history. In Norway, such communities still co-exist with big urban cities like Oslo. However, they are under the constant threat of depopulation due to both their small sizes and remote locations. This creates a unique opportunity to explore how design, art and architecture can be used as interventions and contributions for shaping the future of these remote places. 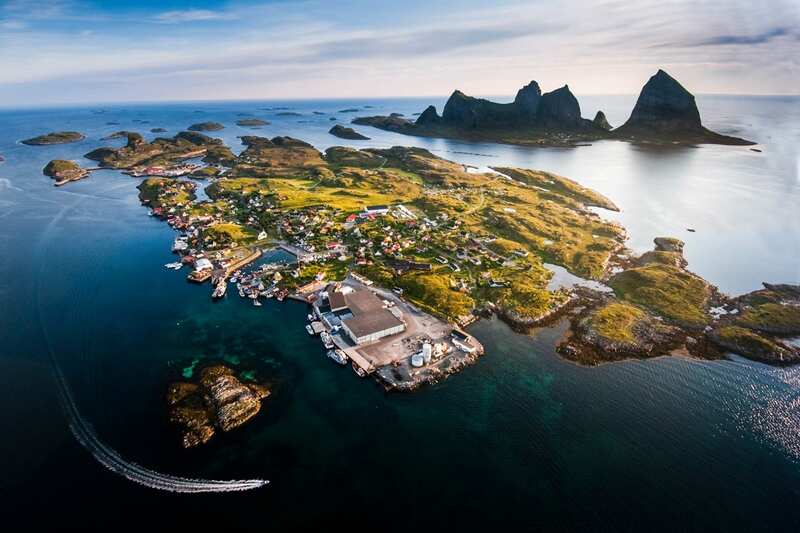 This project focused on one such remote community in Træna, Norway, a group of islands in the Arctic Circle, where fewer than 500 residents live. The aim of the project was to understand what we can do to address this threat of depopulation. Upon researching and gathering insights from locals, we learned that the arctic winter is one of the most challenging times for this community as it lasts for more than 6 months a year. It affects the moods of individuals as the twilight sun only appears for a couple of hours a day and the temperature hinders outdoorsy social activities. Many residents travel to big cities to have a more pleasant experience during the winter. Such harsh winters often deter youngsters from settling down on the island in the future. So we asked: how can we help the Træna community battle long, dark, frigid winters? 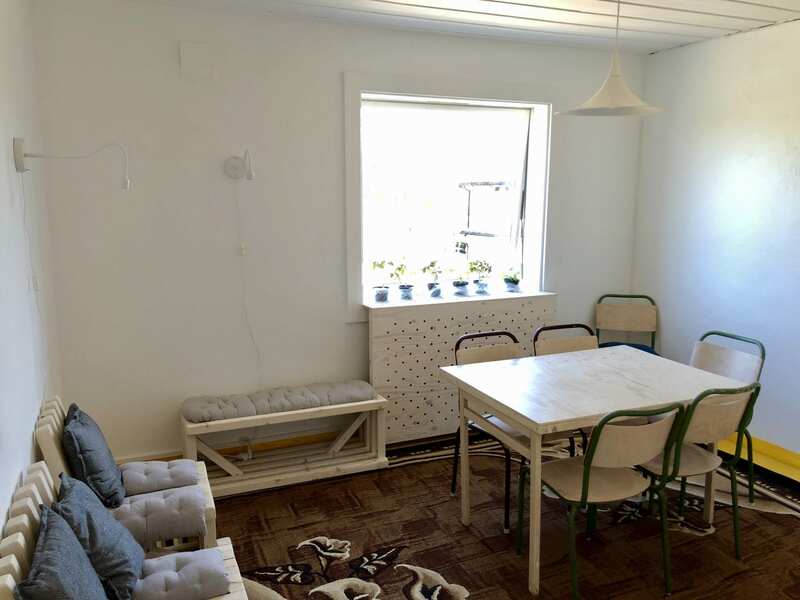 We were given two derelict rooms and a barren front yard in a community house, where we designed spaces that facilitate fun and active social gathering, and create niches of individual down time. These multipurpose spaces are designed both indoors and outdoors to provide a variety of experiences, especially during the winter. 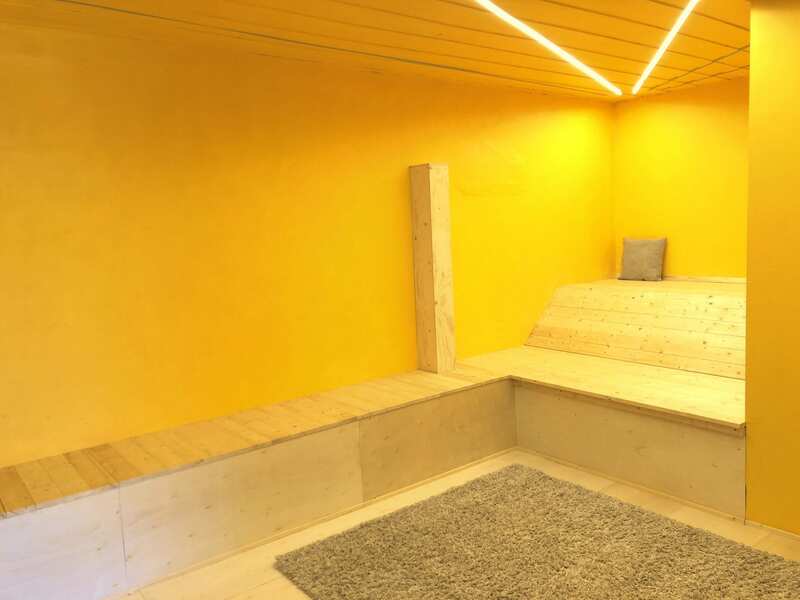 The Third Place is a space where people can meet that is neither home nor work. Such places are common in urban areas but hard to find in small rural communities. This multipurpose place offers options for having coffee and conversations, hosting small meetings or running hobby clubs (e.g. knitting club or game club). 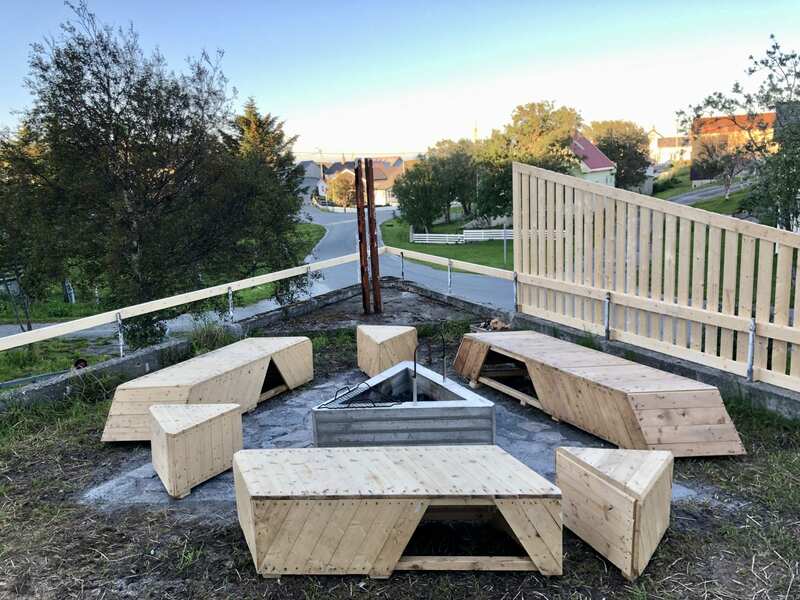 The idea of Fire Pit was conceived to transform the neglected front yard into a centrally located gathering place, where people can enjoy outdoor even in the winter. Seating is designed to store firewood and other related stuff underneath. 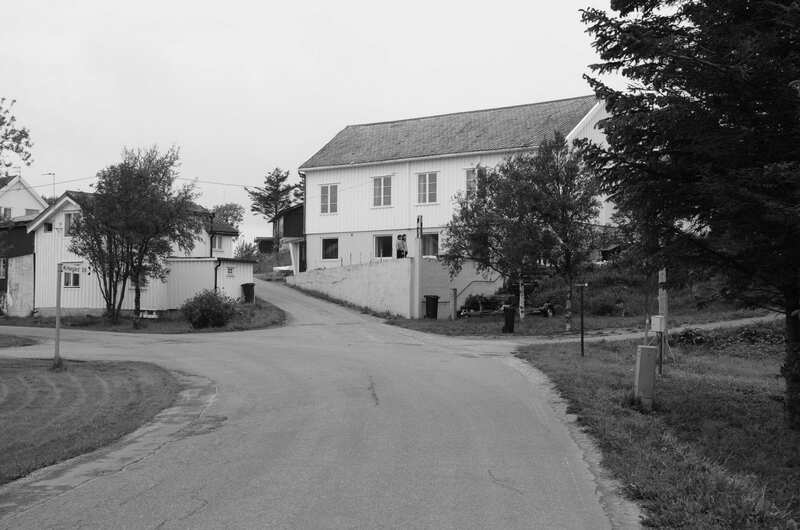 Our homebase was the Grendahuset, or Community House, built in 1910. 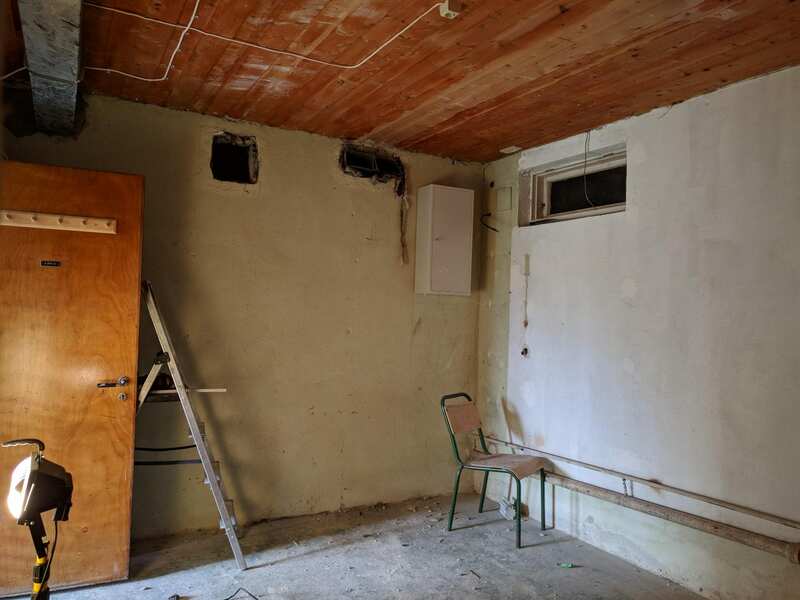 The site of our design challenge was two derelict rooms on the ground floor that had been an archival space and ceramics workshop decades ago, and a triangular front yard, neglected and untended. The upper level is sometimes used as a meeting place by various groups, and films are screened for the community monthly. In the first week we studied the site and engaged the local community in conversation. 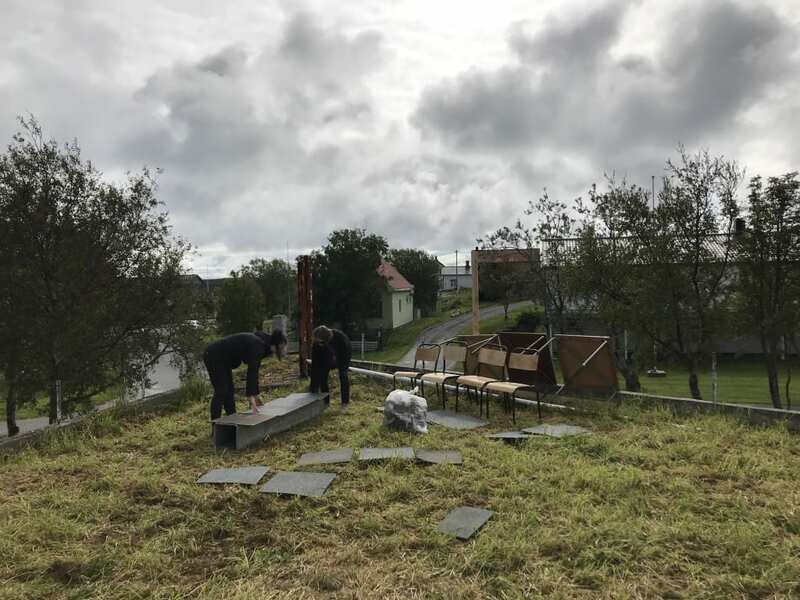 After some introductory exercises framing the project spaces, we heard local perspectives from Træna residents and community leaders. Then we were broken up into groups to learn about Træna through a dozen different lenses, such as culture and activities, industry and NGOs, and politics and society. Over three days, we explored the island by foot, pored over data, and interviewed residents, meeting them at the grocery store, contacting them via social media, or knocking on doors. Visiting cultural institutions like its church and museum gave us a sense of Træna’s history, while spending time at local businesses like its cafe, pub, and store, immersed us into the residents’ daily experience. We presented our findings to each other, and then moved on to begin the concept phase. In four new groups, ensuring all points of view and disciplines were represented, we came up with two ideas per group—one that came directly from our research, and the other deliberately riskier and out of the ordinary. All eight ideas were sketched out and presented to each other, the Grendahuset board, and to the public, with locals offering additional ideas for each concept. It was amazing to witness their engagement and enthusiasm for what we had in mind. We again divided ourselves into new groups to sketch out user interactions and details for all three concepts. We developed each idea by testing it through prototypes and feedback from our team members. Once the primary game plan and designs were ready, we quickly moved on to construction phase. 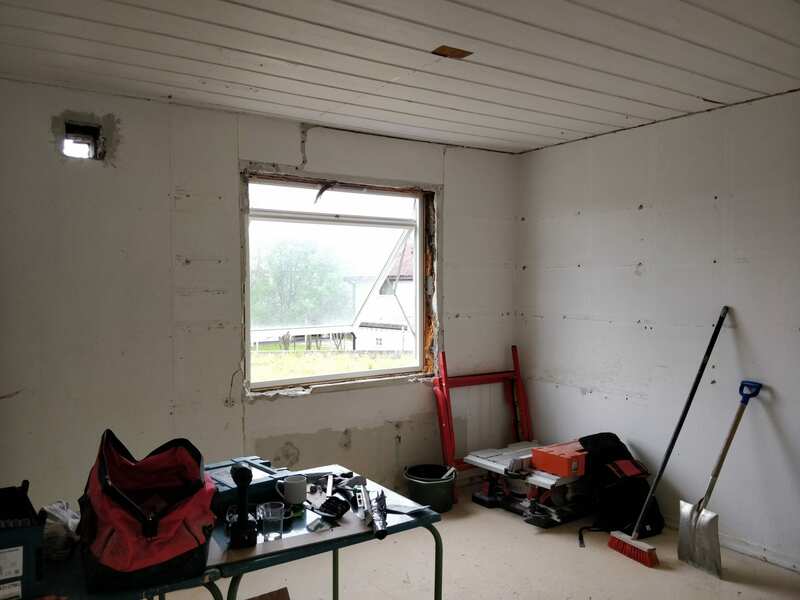 As the construction began, I chose to work on the sun room till the end. The challenges of construction were abundant, as we dealt with limited time and tools, and resources that were hard to acquire. The weather also made getting things done a challenge—it was consistently around 50 degrees Fahrenheit, and drizzling, with the sun making short cameos from time to time. Nearly 20 hands on deck meant power drills, measuring tape, and framing squares “walking away” when we weren’t looking. Renovating an old building meant nothing was straight, no corner was a right angle, and measuring twice or even three times wasn’t enough. Having to perform a multitude of tasks in confined spaces demanded scrupulous planning, but also, the flexibility to veer away from our plans. All of these challenges forced us to make adjustments on the fly in order to meet our resource and time constraints. As our deadline loomed, we took full advantage of the midnight sun. In the end, we were proud to debut the new space at the start of the Trænafestivalen, an annual music festival that brings 5,000 people to the island for three days. The mayor was on hand to officiate its opening, and nearly 50 people joined us that rare sunny afternoon to grill sausages on the fire pit, donate books and plants for the third place, relax in the sun room, and learn how it all came together.